When it comes to local search, every city is unique. For SEO, there are, of course, the usual top sites on which to get listed, such as G+ Local, Bing Local, Yext, as well as unique local groups that help to highlight a local business, but what about local Google pay per click? This advice is focused on Austin PPC, however many of the tips here can be modified to meet your goals in any major city. Local pay per click does often overlap between cities in so far as services and some conversion strategies that work, but local demographics, ppc competition, and your unique business absolutely must be taken into account if you want to get the most from your online PPC strategy. Let’s look at two simple examples of how different local approaches can be the difference between success and failure. The right pay per click campaign can get your business on the map for local online searches. Business A & B both sell the same product, but business A focuses on cost, while business B focuses on quality. If both businesses were to advertise based on price alone in the same market, A would be attracting more of the right customers and find that more of the site visitors buy. Business B should position their ads based on the differentiators for their own business. You can always test other features, but play to your strengths, even if overall traffic is lower, it is often more sustainable in the long term leading to more actual purchases by happier customers looking for exactly what you offer. 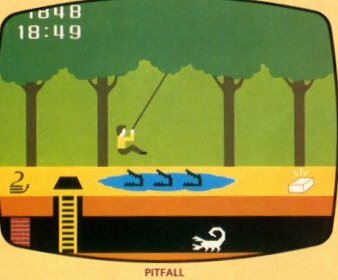 Area a business should target. Many people like to buy from a local business. They can visit in person and they know where to go if they feel that they have a problem. However, just how locally should you target your PPC ads? Because Google uses IPs to identify a users location, and IPs are often routed locally, the smaller the area that you target the less accurate the targeting becomes. For example, target the US and Google is about 98% accurate in is filter, however, if you target South Austin, you are often between 50 and 70% accuracy with your targeting (it is about the same level of accuracy for most major cities). I have found radius targeting from your location or location targeting (i.e. 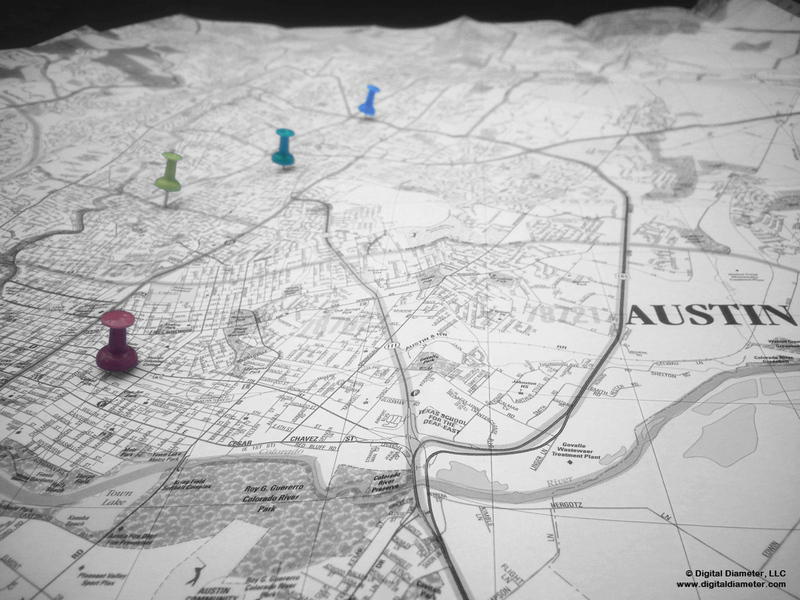 Austin and Round Rock) to be the best balance between relevancy and accuracy for a locally targeted business. 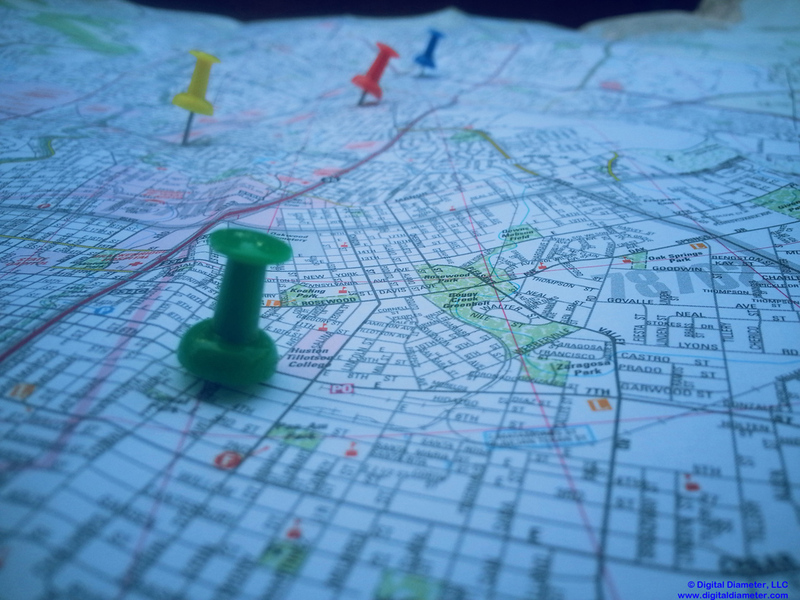 Local PPC: Don’t forget your local landing page! Emphasizing your local-ness, especially in cities like Austin who pride themselves on their local business can be a great way to compete with the larger budgets of national corporations with more relevant clients who often become your biggest advocates themselves. 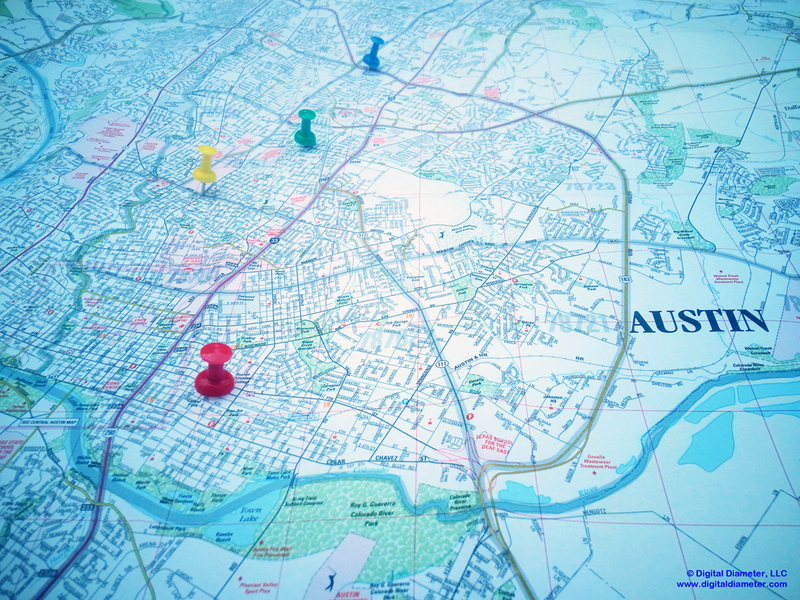 Because of the strong tech presence in Austin, local Austin PPC tends to be more competitive. More businesses are aware of the value of this traffic and the 10 ad positions Google shows on it’s first page of results. However this same ppc trend also means that more people in Austin are online when they search for products or services, making a success all the more valuable. Pay per click marketing is often associated with big business. For example, State Farm alone spent about $44 million dollars on Google in 2011. In our experience, nationally-focused clients often reach out to us very aware of what PPC might be able to do for them, but many local business owners often feel less sure about the potential benefit. Feeling relegated to the the minor leagues and not understanding the opportunity, they hesitate to explore this avenue for growth, only to eventually try it and quickly see positive results. The Key : Pay per click advertising (or PPC for short) can be dialed in to focus on regional areas. This could be the entire U.S., a single zip code, or a specific radius around your location. Even Google has come to recognize the power of local search. For example, when you search for ‘Italian restaurants’ or ‘car repair’, almost no national businesses appear on the first page at all. That is because many people use Google to search locally. For a local business owner, this can be a huge opportunity. Depending on the area and the keywords you target you can enjoy a number of very important advantages over large, national or international businesses that can be touch to beat. Relevancy – As a local business you are often more relevant to potential clients searching in your area than a national brand on the other side of the country. This often translates into more clicks and sales. Lower Click Costs for Your Ads – High quality scores for a relevant, local webpage mean your bids go further. Targeted Message – Because you know your audience, it is often easier to craft a more effective ad that resonates with your potential clients. Easy to Test – You know your products and your area. Important Tip : Many PPC companies represent multiple clients with the same products in the same region. This means that what they find works best for you is then shared with competitors. Be sure to find an agency that is willing to forgo working for your direct competition while they are working for you. Whether you are interested in a national or local PPC campaign, pay per click can help a business to quickly grow their business. Working with your PPC management service, you can begin a test to see how PPC works for your business. Results will vary depending on your business goals, budget, competition, and online traffic in your area, but the effects are highly measurable and allow you to see exactly what you gain from the effort. After you have determined a baseline for your campaign, you can then continue to improve your ROI over time with new insights and data. Pay per click can help new potential clients to find your business online quickly. In our next post we will answer more common questions regarding PPC for small business. For now, please feel free to contact our team with any questions. Are you interested in growing your business quickly? SEO is a great way to build long-term value for your website, but Pay per click advertising (PPC) can be a much faster way to reach your more immediate goals. Pay per click is exactly what the name implies. You advertise on Google and/or Bing and you pay for every click on your advertisement. When properly used, this can be a great way to grow a business of any size. So, you have a website. That is a good first step, but now what? 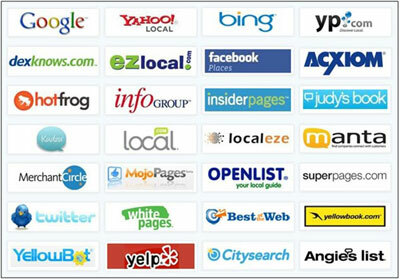 Local citations are a great way to increase your online visibility and they help your rankings. Let’s start with a common question: Why focus locally with SEO? Well, every year, Google (and Bing) continue to show more and more local results for keywords. In fact many national companies are struggling to improve their local results for many popular products and services. If you think about it, local search results make perfect sense. Every year many people search for large national businesses, but many many more people search for local businesses. This can be a huge opportunity for a local businesses. In many ways, local business are what Google wants to show its users. They are often highly relevant and Being seen by potential clients in your area looking for the product or service you offer. Internet based sales are growing at an average of 10% a year vs. 1% or 2% for the U.S. economy. This means that not only is the growth important, but customers who were not looking online before are now becoming online customers. Taking the right steps to be found online can be worth much more than the effort it takes to get there. Being found in Google and Bing results is key for any local business.